A fast absorbing, oil-free gel-cream that hydrates the most sensitive and oily and acneic skin. 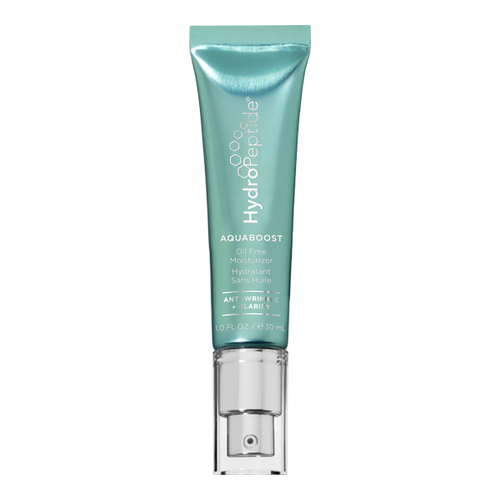 This light-weight, oil-free hydrator perfects oily or acneic skin to replenish hydration, soften texture, clear impurities, absorb excess oil and fight bacteria. Water, Glycerin, C13-15 Alkanes, Diethylhexyl Carbonate, Thermus Thermophillus Ferment, Butylene Glycol, Pentylene Glycol, Niacinamide, Cetearyl Alcohol, Glyceryl Stearate, Potassium Olivoyl Hydrolyzed Oat Protein, Cetyl Alcohol, Olea Europaea (Olive) Fruit Unsaponifiables, Maltodextrin, Aloe Barbardensis Leaf Juice, Hydroxyacetophenone, Laminaria Saccharina Extract, Benzyl Alcohol, Citrullus Lanatus (Watermelon) Fruit Extract, Glyceryl Oleate, Lens Esculenta (Lentil) Fruit Extract, Squalane, Salicylic Acid, Xanthan Gum, Pyrus Malus (Apple) Fruit Extract, Acrylates/C10-30 Alkyl Acrylate Crosspolymer, Syringa Vulgaris (Lilac) Leaf Cell Culture Extract, Caprylic/Capric Triglyceride, Sodium Lactate, Panthenol, Sodium Hyaluronate, Sodium Phytate, Citrus Limon (Lemon) Peel Extract, Sodium PCA, Cinnamomum Cassia Bark Extract, Sanguisorba Officinalis Root Extract, Zingiber Officinale (Ginger) Root Extract, Citrus Paradisi (Grapefruit) Fruit Extract, Caprylyl Glycol, Citrus Aurantium Dulcis (Orange) Peel Extract, Palmitoyl Tripeptide-5, Camellia Sinensis Leaf Extract, Citrus Aurantifolia (Lime) Peel Extract, Citrus Aurantium Bergamia (Bergamot) Fruit Extract, Citrus Nobilis (Mandarin Orange) Fruit Extract, Citrus Tangerina (Tangerine) Peel Extract, Acetyl Dipeptide-3 Aminohexanoate, Acetyl Tetrapeptide-40, Barosma Betulina Leaf Extract, Vanilla Planifolia Fruit Extract, Vitis Vinifera (Grape) Fruit Extract, Citrus Aurantium Dulcis (Orange) Fruit Extract, Juniperus Virginia Wood Extract, Musa Sapientum (Banana) Fruit Extract, Prunus Armeniaca (Apricot) Fruit Extract, Ananas Sativus (Pineapple) Fruit Extract, Butter Extract, Cocos Nucifera (Coconut) Fruit Extract, Coffea Arabica (Coffee) Leaf/Seed Extract, Cucumis Melo (Melon) Fruit Extract, Fragaria Chiloensis (Strawberry) Fruit Extract, Honey Extract, Prunus Amygdalus Dulcis (Sweet Almond) Fruit Extract, Rubus Idaeus (Raspberry) Fruit Extract, Lactic Acid. • Apply a small amount to a clean face and neck after applying serum of choice. • May be used AM & PM. Follow with appropriate sunscreen.